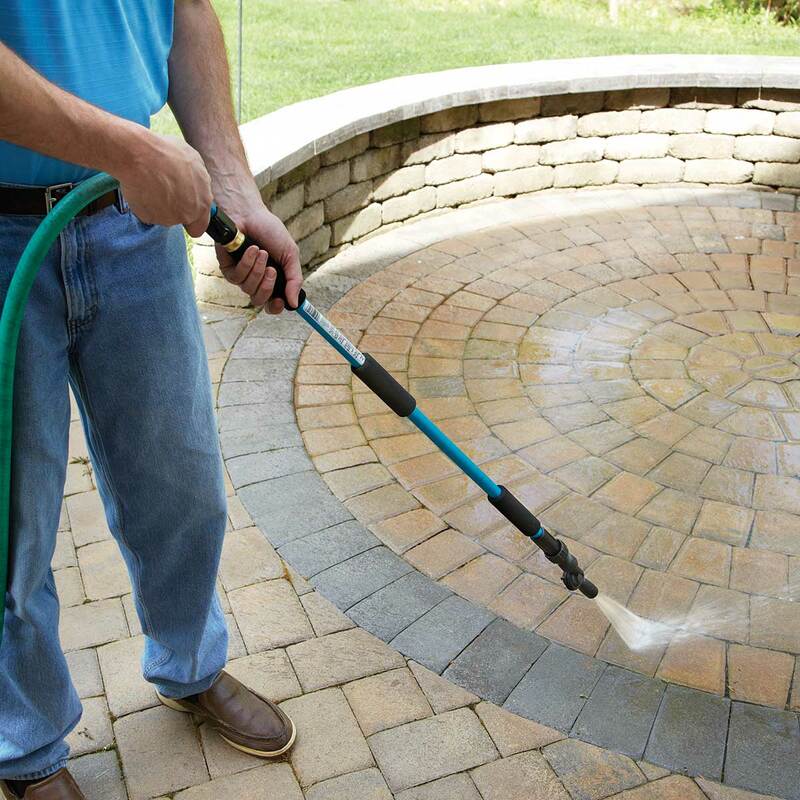 The clever design of our Water Blaster uses controlled pressure to turn your garden hose into a grime blasting force. The rubber coated high pressure nozzle pivots 320° so you can adjust the angle to hit hard to reach spots. Use it as a power sprayer to blast dirt from sidewalks, decks, patios, and driveways, and even windows, siding, cars, and outdoor furniture. 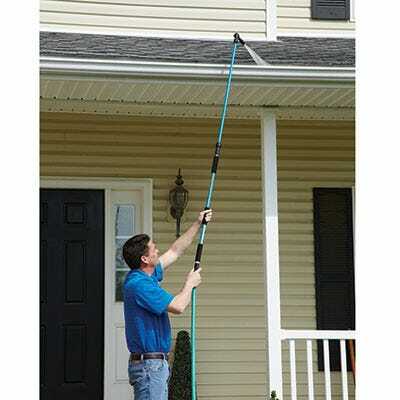 The all aluminum body extends from 41” to over 71” long to let you clean gutters safely from the ground. 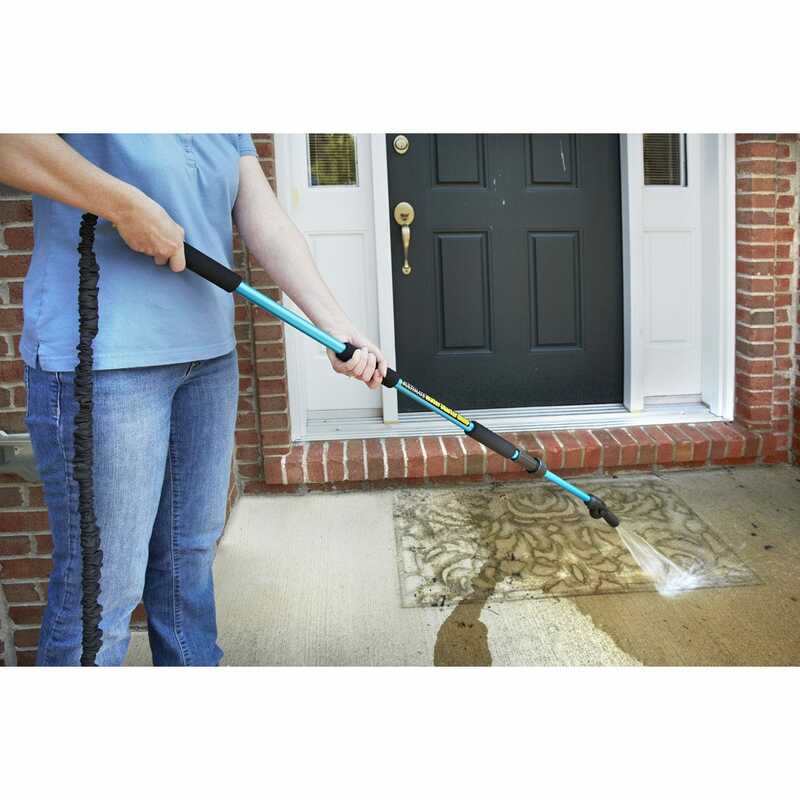 Three 4 3/4” foam handles provide a comfortable and secure grip. Water pressure is controlled by thumb operated ball valve at the base. Easy to use,not heavy. The swivel nozzle works well at all angles. I would recommend this product. The on/off valve is conveniently placed. I like the foam handle grip. I did not buy this Blaster expecting it to be like a power washer and it's not. I specifically bought it to wash down the screens on my Florida lanai (sceen enclosed patio for those unfamiliar). I didn't want too much pressure but did desire more than a regular hose nozzle. This works great and with the extended reach, I cut my spraying/cleaning time at least in half and get a better job. After painstakingly cleaning out as much of a sparrows nest that I could from my non-clogging eaves (they found a hole just big enough to squeeze through), I used the High Reach Water Blaster to flush the remaining debris that I couldn't reach. I like the fact that I could stand on the ground, not on a ladder, and not get wet while using it. I would recommend this product. The High Reach Water Blaster is n nice tool, but does not do the job I bought it for. I agree with the gentleman who said it was not much more powerful than his regular nozzle. 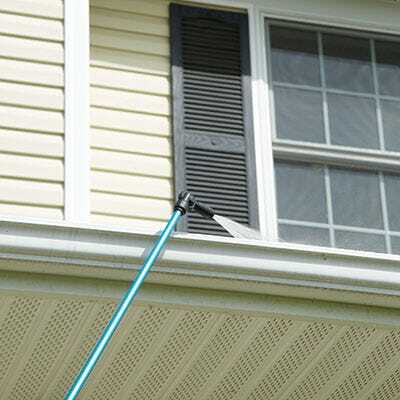 It does let you reach futehr but does not remove dirt very efficiently. 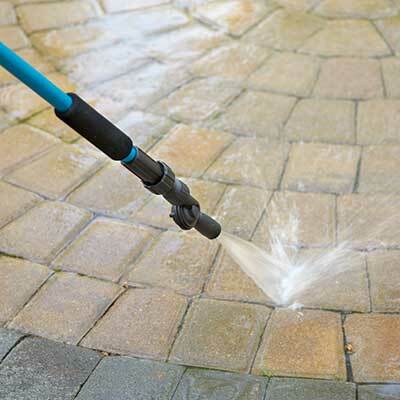 The High reach water blaster works great as shown, because the water stream is right above the bricks it washes out the dirt and moss faster than a garden hose. A great tool for us older guys or you younger folks that don't want to drag out the pressure washer for a small job. Looks like it will be good for my lower gutters when I clean them this fall. I washed my car with the high reach water blaster and it performed great and made the job so much easier. This was a great purchase. This does no more than my regular hose attachment. Not at all what I expected.